Teaching Associate Glen Gonzalez’s instruction style combines his relevant life experience with nearly 15 years of professional social service practice. Mr. Gonzalez has worked in refugee camps in the Balkan regions of Europe; mentored first-generation migrant farm workers in the Los Primeros/Las Primeras program; served as a pediatric mental health specialist at Seattle Children’s Hospital’s inpatient psychiatric unit; and worked as social worker for Northwest Defenders Association serving incarcerated adults. Additionally, he has served as an in-home behavioral specialist for the Division of Developmental Disabilities; as a regional team leader for the Racial Disproportionality Committee, and as a member of the Racial Disparity Committee for Washington state’s Children’s Administration. He worked for more than seven years with the Washington State Department of Social and Health Services as a social worker in the Family Voluntary Service, Child Protective Service and Child Welfare Service units as well as lead social worker and facilitator for child protective team meetings in the Division of Children and Family Services. 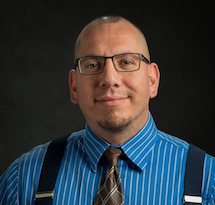 Mr. Gonzalez started his position with the School of Social Work in 2010 as a faculty field instructor and teaching associate in the School’s Child Welfare Training and Advancement Program (CWTAP). He is responsible for educating and training students in the master’s in social work degree program while preparing them to gain and maintain permanent social work positions in the fields of child protective and child welfare services. He achieves this by bringing together theory and practice through lectures, field assignments, trainings, curriculum, supervision and evaluation--while also creating and monitoring mentorships between students and active state social workers. Mr. Gonzalez’s interest in social services derives from his experiences as a youth where he was a ward of the state and aged out of the system in Los Angeles. These life experiences contribute to his interests in working with “at risk” youth, children and families, veterans, the Latino community and on the engagement of fathers in family life. His primary modes of practice and instruction apply solution focused, family developmental, cognitive behavioral and resiliency theories.